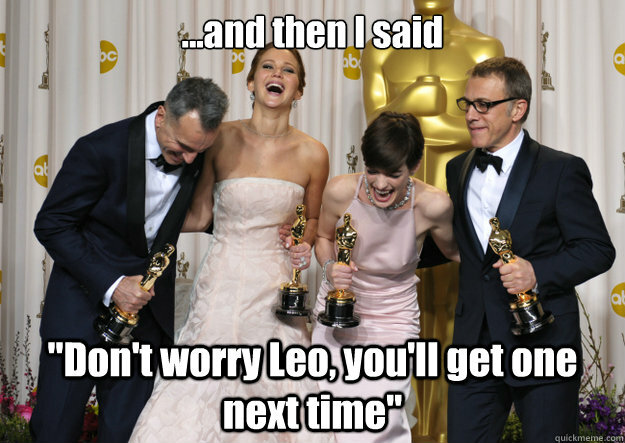 ...and then I said "Don't worry Leo, you'll get one next time"
Skyfall nominated at the Oscars? 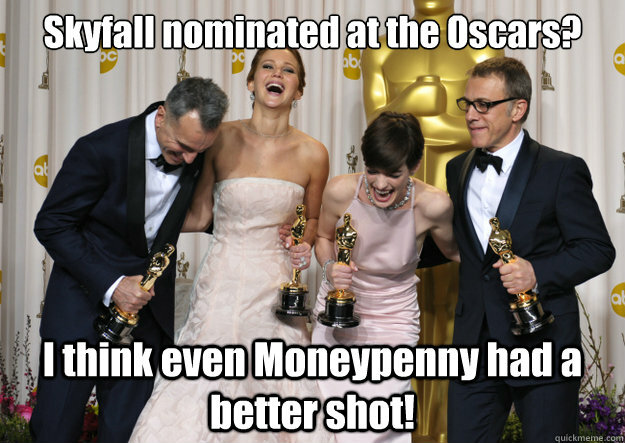 I think even Moneypenny had a better shot! 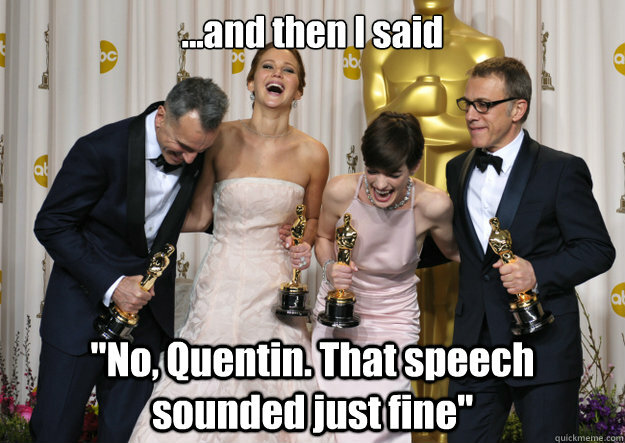 ...and then I said "No, Quentin. 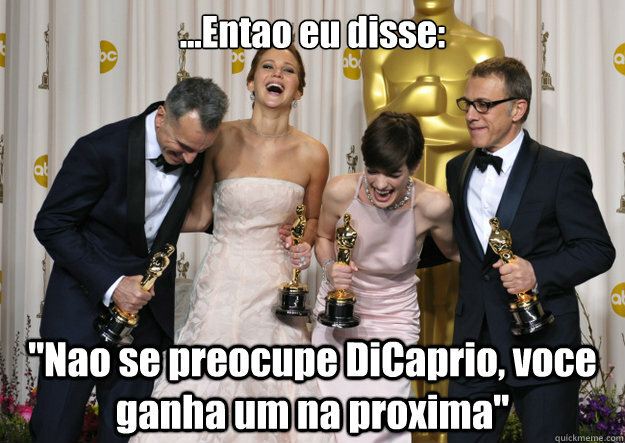 That speech sounded just fine"
...Entao eu disse: "Nao se preocupe DiCaprio, voce ganha um na proxima"